Our two major parties are NOT the same, one is hateful and vicious - and one is not. "John Barrasso: Republicans Are Not Prepared To Fix Obamacare." "NATIONAL HARBOR, Md. -- A Republican-run Congress will not support a quick legislative fix should the Supreme Court rule that a large chunk of Obamacare's health care subsidies are illegal, a leading GOP senator said Thursday. 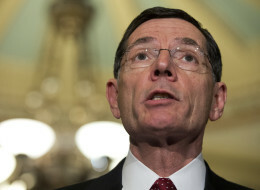 "Sen. John Barrasso (R-Wyo.) told conservatives gathered at the annual Conservative Political Action Conference that he and other Republicans view the Supreme Court's decision in the forthcoming King v. Burwell health insurance subsidy case as an opportunity to pass a conservative-minded replacement to the law. Should the court rule that subsidies can only be awarded to individuals shopping for coverage on state-run exchanges, he said, Republicans would resist efforts to restore subsidies for others. "'You can imagine if a Supreme Court rules against the president ... he is going to completely attack,' said Barrasso. 'He's going to call it a partisan court. And then he's going to say I have a simple one-page bill as the solution. Just make everything I've done, make it legal. And we are not prepared to do that...'"
But all this hyper-aggression is just political fun and games, isn't it? "Stephen Hawking Claims Aggression Will Be Downfall of Human Race." "Physicist Stephen Hawking has been garnering quite a bit of attention this week, as Eddie Redmayne won an Academy Award for his portrayal of the scientist in 'The Theory of Everything.' However, Professor Hawking is also making headlines for a conversation he had with Adaeze Uyanwah, a 24-year-old student from California. Uyanwah was treated to a tour of London’s Science Museum accompanied by Hawking as part of her prize package from the 'Guest of Honor' contest by VisitLondon.com. During their time together at the museum, Uyanwah asked Hawking which human trait he would most like to change. 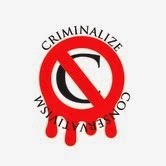 "'The human failing I would most like to correct is aggression. It may have had survival advantage in caveman days, to get more food, territory or a partner with whom to reproduce, but now it threatens to destroy us all,' Hawking answered her, according to the Independent. 'A major nuclear war would be the end of civilization, and maybe the end of the human race,' he explained. "only does human aggression no longer serve an obvious purpose, but technological advances, such as nuclear weaponry, have made it so that an incredible amount of damage could be done with very little effort by a small number of people. Hawking isn’t the only prominent scientist to have made this observation; Carl Sagan was outspoken against the development of nuclear arms during his life..."
All this hate and spite is a new phenomenon, right? ...because Conservatives hate other peeps, so what's the problem? ...even if it costs them votes. Conservatism isn't new, and their vicious hate is inbred in them as an adjunct of their authoritarianism. Marching in lock step with their leaders, Conservative followers preach the hate that their leadership promotes by instilling fear in their adherents' psyches. Why? Because these intellectually-challenged "patriots" have had this fear transform into hate through the clever manipulation of propagandists by the Conservative leadership. the society that tolerates homosexuals."